I would like to emphasize that watching your dog means actually paying attention to your dog at all times. 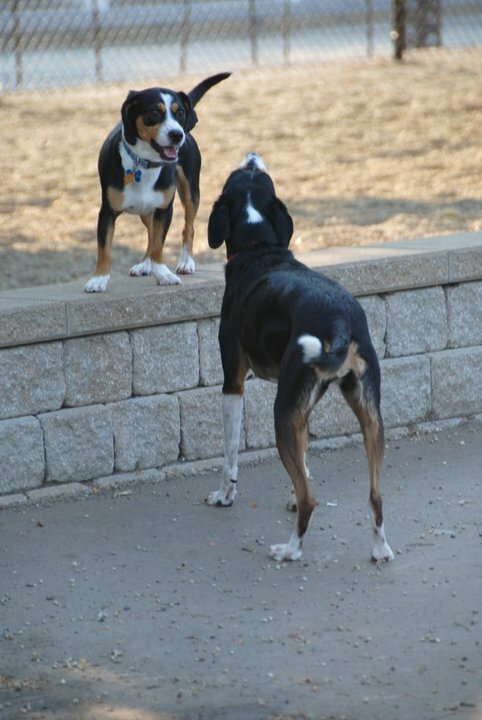 Though chatting with other dog owners is great, your main focus should be on your pooch. Also, refraining from taking phone calls or spending time on your phone would also be appreciated. I have witnessed many situations where it only takes a few seconds that an owner can completely miss if they are not attentive to their dog. Yes! In fact you do need a special ‘DFA tag’… you get them from your veterinarian! Here’s some information on the Chicago Park District website, and here’s the list (pdf) they provide of ‘participating vets‘. Just a quick question. My dog has gotten all the vaccinations needed, but I was told by my vet that there is a specific tag that needs to be purchased to have him in a dog park. Where would I go to receive a DFA tag? Is this different than the simple registration tag through Cook County I have already received?